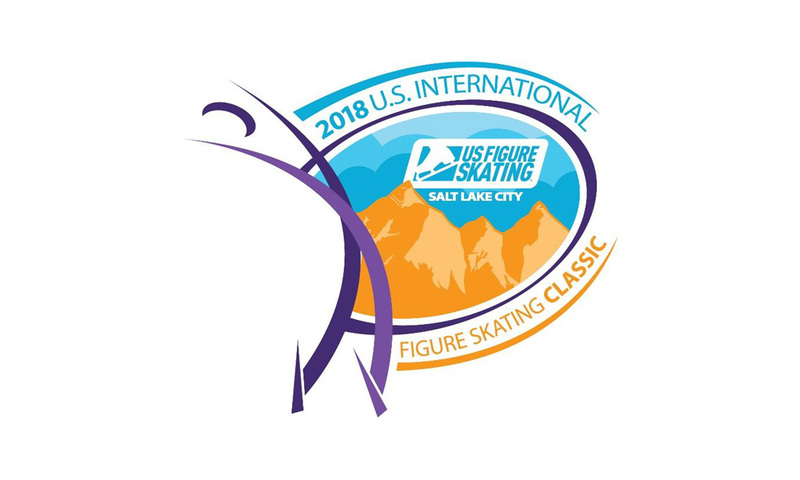 The Challenger Series made its first stop in North America this week in Salt Lake City for the US International Figure Skating Classic. This event hosted a contingent of 11 men, 15 ladies, 5 pairs and 7 Ice Dance teams, all vying for a spot on the podium and points towards their world rank. Unfortunately this event was geo-blocked and only available for US viewers who purchased an NBC Gold subscription pass for figure skating. This event saw the season debut for many top skaters, marking first looks at new program costumes and improvements from last season. All event results information, including protocols, can be found here. 🏅 Ashley Cain / Tim Leduc won their first competition of the season on home ice! Despite Ashley’s unfortunate fall on a throw triple Lutz, they came back strong with a relatively clean Free Skate (underrotated double toe in a combo, but details) and won the event with a comfortable 30-point margin. Congrats to them on a strong season debut! They’ll be competing next at Skate America in October. 🥈 Audrey Lu / Misha Mitrofanov won second here with a solid, clean Short Program. They unfortunately had a rough Free Skate, with Misha falling on his single SBS and botching the combo jump as well. However, this will be their first year as Seniors, so a tough first skate especially at their first competition of the season is to be expected. They will make their Senior international debut at their first Grand Prix assignment, NHK Trophy, as they were selected to replace reigning Olympic silver medalists Wenjing Sui and Cong Han, who withdrew in July. 🥉 Ekaterina Alexandrovskaya / Harley Windsor rounded out the podium at US Classic. They had a fairly clean Short Program that put them within 4 points of first place, but an aborted lift and fall on their throw triple loop left them less than 2 points out of second in the end. They will compete next at Skate Canada at the end of October. 🏅 Nam Nguyen started off his season strong, taking gold with a 5 point margin with a fun Short Program to “That’s Life” that we’ve seen steadily improve over the course of these early competitions. Despite struggling with his jumps, especially in the latter half of his “La La Land” Free Skate where he popped both his flip and his loop, he appears to have gained consistency on his quad Salchow. We hope this means he can soon put his growth spurt troubles behind him! We’ll see him next at Skate Canada where he has the host spot. 🥈 Veteran Michal Brezina (who is celebrating his eleventh season in Seniors, having skated his first Senior ISU A comp in 2008!) took silver, with a Short Program to Queen’s “Who Wants to Live Forever” and a Free Skate to the classic 1960s tune “I’m a Man”. Not unusually, he had some issues with his jumps here, with three underrotations and a missed triple Axel combo in the Free Skate, but he’s always a compelling, committed performer. We thought that particularly shone through in the Short Program and we look forward to seeing him again at Skate America. 🥉 Relative newcomer Jimmy Ma really took us to the club with a fun Short Program set to “Tango / Mi Gente” - we loved his interpretation and performance. He’s not yet the strongest technician and had a couple of issues with pops (though we all really liked his triple Axel), but he has a great, unique style. We look forward to seeing him grow into his more classical, abstract Rachmaninov Free Skate over the course of the season, with his first Grand Prix assignment being Skate America. 🏅 Madison Hubbell / Zachary Donohue showed every bit of their World silver medal quality here with an easy victory over the rest of the field. Not only were they the only team to receive a level 3 for part of their pattern in the Rhythm Dance, they also were the only team to have a technical score higher than 60 in the Free Dance. Next for them will be the kick off of their Grand Prix season at Skate America. 🥈 At their first international Senior competition Christina Carreira / Anthony Ponomarenko showed every bit of potential they had while capturing silver. Off-synch twizzles couldn’t contain their ability to express in the Rhythm Dance and altitude caused stamina issues would never detract from an engaging performance in the Free Dance. Grand Prix Helsinki is their next chance to move up the US Ice Dance ranks before a jam-packed Nationals this winter. 🥉 Misato Komatsubara / Tim Koleto took to the ice at their second Challenger event only to earn another bronze medal. After a steady Rhythm Dance found them in fourth, a charming Free Dance helped them climb that extra spot to the podium. This season will mark their first time getting two Grand Prix assignments, the first of which comes at NHK Trophy. Shoutout goes to Karina Mantas / Joe Johnson of the USA for an electrifying Free Dance to “Sweet Dreams” by the Eurythmics. Choreographed by Christopher Dean, this program really helped kick off the Ice Dance event with some much needed energy after, admittedly, a long weekend of skating. Check them out next at Skate America! 🏅 Satoko Miyahara made her season debut here with a notably improved double Axel (she’s rumored to be training the triple) and two stellar programs. While she did win both segments, each of her jumping passes were called underrotated in the Short Program. But with a fiery performance to Astor Piazolla’s “Invierno Porteño” she bounced back, even after a doubled Salchow and a triple Lutz fall, to zero called jumps and a double digit margin of victory. Her next stop is Skate America to kick off the Senior Grand Prix season. 🥈 With the silver medal here Eunsoo Lim nabbed a second Challenger Series podium placement. Her first was a gold at Asian Open Trophy, the debut of her tutelage under Rafael Arutyunyan. After a wonderfully lyrical performance in the Short Program to “Somewhere In Time” by John Barry, she grabbed her jazz shoes for a perky performance to a medley of songs from the “Chicago” soundtrack. While stamina seemed to be a problem during the Free Skate, mixed in with a couple of underrotations, it was enough to earn her some much needed points towards getting a second Grand Prix assignment. If not, Rostelecom Cup, here we come! 🥉 Yelim Kim rounded out the podium after two very solid performances when some of her competitors faltered. While still just a Junior currently competing on the Junior Grand Prix, she showcased excellent basics and technique that could stand next to any Senior. Her Free Skate to “Méditation” was especially lovely. Our shoutout here goes to another Junior skater, Yi Christy Leung of Hong Kong. After a disappointing Short Program, she came back in a major way with an excellent Free Skate to Florence and the Machine that nearly got her on the podium. From her packaging down to the flourish of her arm, this program perfectly encapsulates her potential.